No medium can bring the sights, sounds and emotions of your wedding back to life in quite the same way as a well-crafted and professional video. Geoff Davies, of Our Wedding Videographers, suggests 10 questions couples should ask before booking. We’re always telling brides that their wedding day will race by as quick as a camera flash – and it’s very true. Soon after “you may kiss the bride,” you’re at the last dance, which is why it’s important to document the day for both you and your family to look back on. 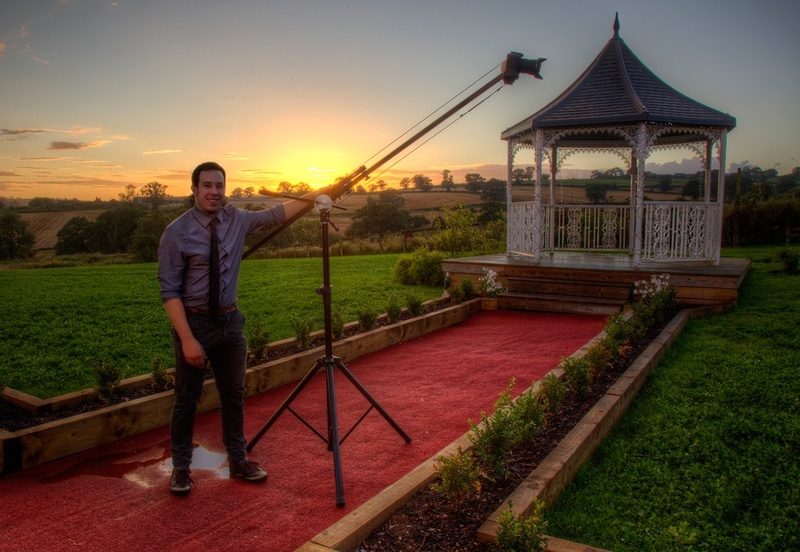 Wedding video production brings you as close to reliving your wedding as possible. While photographers are amazing at capturing wedding day magic as a timeless set of stills, videographers can go beyond static images. They capture the essence of a wedding day through both visual and audio footage to give couples, as well as their friends and family, the opportunity to look at their wedding from a different perspective and relive the special day time and time again. How many videographers will be filming at my wedding? In order to produce a creative and interesting wedding video, you should have two videographers. It is important to capture multiple angles, especially during the ceremony, and one videographer usually isn't enough. This makes a huge difference to the type of film you will be getting as relying on one camera will limit the amount of footage your film will include. Multi-camera films will capture a great deal more of your day; the extra details, friends, family and many moments you could have missed. We always use at least two cameras and two people: cinematic equipment needs to be operated, it’s simply no good plonking a camera down and letting it run. You won’t want a microphone hanging over you or your guests throughout the day, but onboard audio is often poor quality. Nowadays, most quality video cameras feature microphones that pick up clear sound. If a videographer wants to record the best audio during the vows, he or she will place a wireless mic on the groom― never on the bride, as it might affect the wedding dress. What types of cameras/lighting will you use? If you hire a professional they should own the most advanced and modern equipment which will ensure the best picture quality. The latest video cameras are extremely light-sensitive, so the videographer shouldn’t need harsh or obtrusive lighting. We use DSLR cameras because we find they are more discreet and make people fill more at ease. We always have spares with us in case of emergencies, but touch wood, we’ve never needed them yet. The number of hours a videographer will shoot and the format he or she will use vary by videographer. Many pros offer a nice variety of options. Pick one that works best for your wedding’s schedule, style, and budget. Once you select the package, the coverage should be detailed in the contract. We offer a variety of packages, but generally on average we offer 10 hours coverage, as we like to tell the story of your day. Who will work on the day? You need to have a rapport with your videographer, they are going to be with you for a large part of the day and you need to feel comfortable and at ease with them. 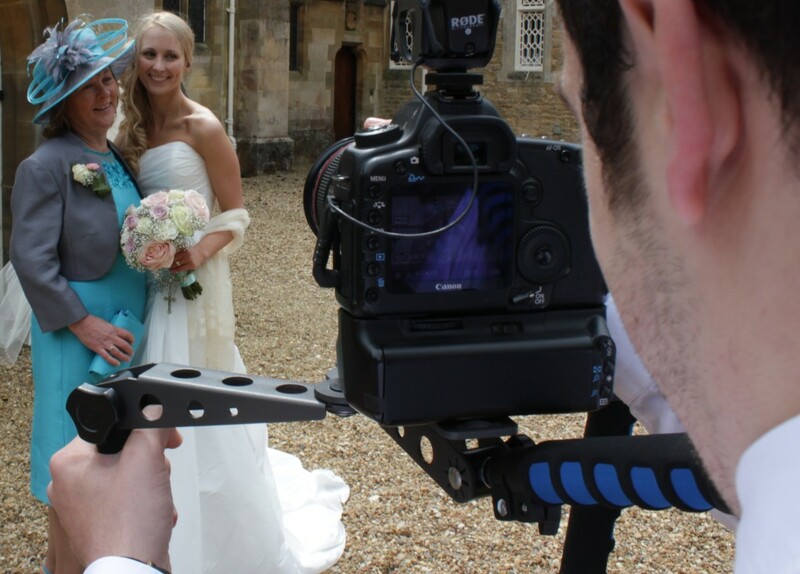 Always make sure you meet the person who will be filming your wedding – and if you are using a big company insist that the person you meet at your first appointment is the person who will be filming your day. You want to have your videographer’s full attention and time. If the person is overbooked, he or she may rush through your event. Be sure your wedding doesn’t overlap with another. We only cover one wedding a day – we give 100 per cent to every wedding and couldn’t contemplate trying to cover more than one. Do you edit your own films? Editing is as important as filming; so ask who will be editing the film. Some videographers are just that; videographers. They will film your day then send footage to an editor who works to a template to make your film. Other videographers, like us, are not just skilled with a camera they know how to edit, it makes a big difference. Producing a wedding video is a lengthy process and there are many steps that have to happen before it’s ready for viewing. The editors have to go through all of the footage and then start to piece together the story that will best represent your wedding day. We aim to deliver a video in as little as 4 weeks, while some take up to a year. If you just can’t wait, ask your videographer if you will get a trailer prior to your full-length video being completed. The quality of wedding videos differs drastically. Always ask to see a full DVD or Bluray version of at least two weddings the videographers have filmed. Don’t be fooled by a few pretty shots on a showreel or an Institute Of Videography logo; do your own research. Anyone operating a professional wedding video service should have Public Liability Insurance, even though they are not legally bound to do so. Ask the videographer if they are covered.